Clean eating lunches are made with wholesome, healthy foods. Creating clean eating lunches that your kids will love doesn’t have to be difficult or frustrating. 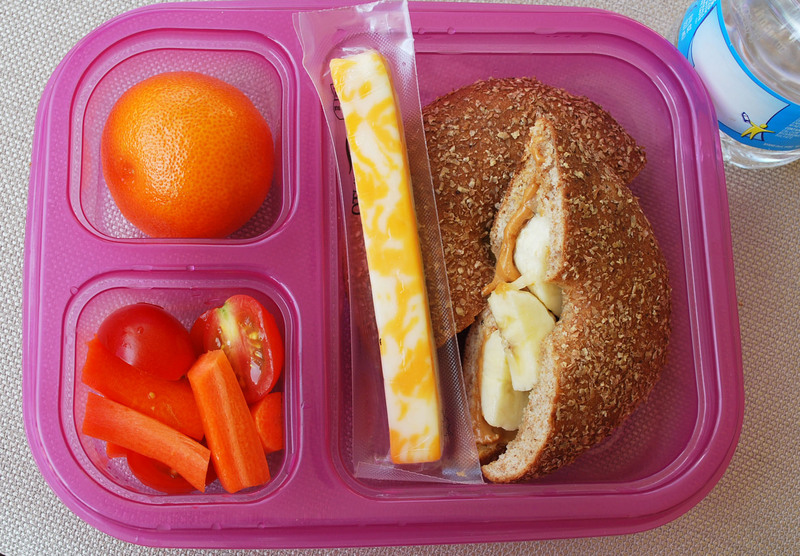 These clean eating lunch box ideas are sure to be kid friendly favorites! 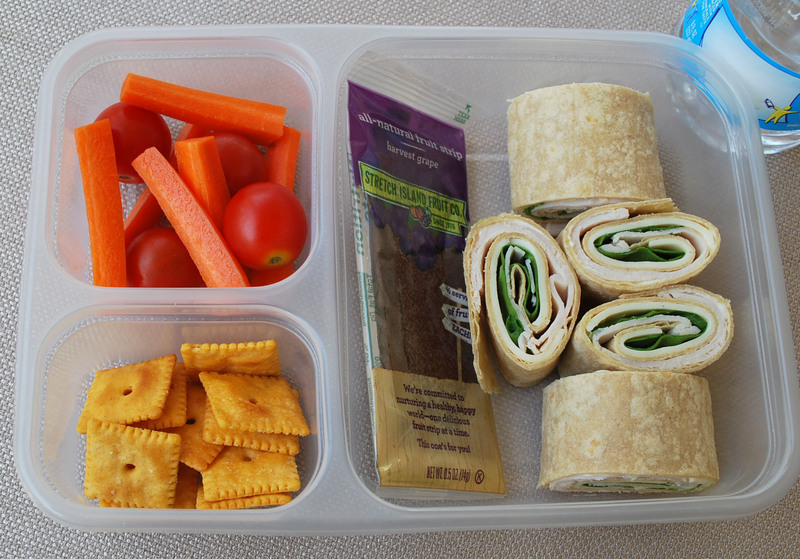 Packing healthy lunches for your kids doesn’t have to be a daunting task! There are a lot of clean-eating options that are nutritious and tasty that kids will enjoy. Children tend to be visual eaters, so making food attractive and fun is a great way to encourage them to try new things. You don’t have to invest in expensive bento boxes or food cutters, although they do have some cool ones out there if you’re willing to splurge. I use a few different BPA-free, dishwasher safe lunch containers that I found at Marshalls and TJ Maxx. I also found some Disney themed BPA-free containers at the Dollar store. My daughter loves those and they were really cheap! I used a small biscuit cutter to make the mini whole-grain ham and cheese sandwiches. You can always improvise with what you have in the kitchen. Cookie cutters also work great for making fun shapes out of cheese and bread. I’m sharing some of our favorite lunches below, but there are so many other options for packing nutritious, clean eating lunches. Leftover soups, casseroles, whole grain pasta with marinara and chili are great options for hot lunches. As well as, salads with good dressing choices. 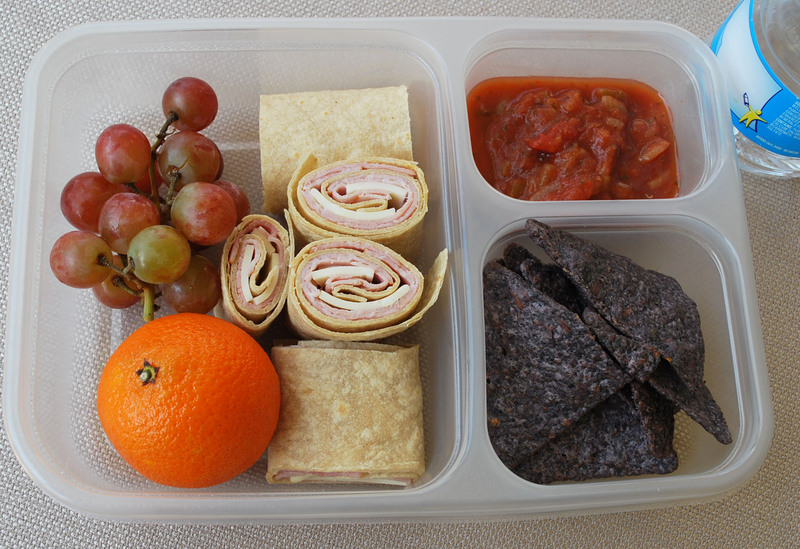 You can make homemade “lunchables” with fun cookie cutters, whole grain crackers, cheese and low-sodium deli meat. 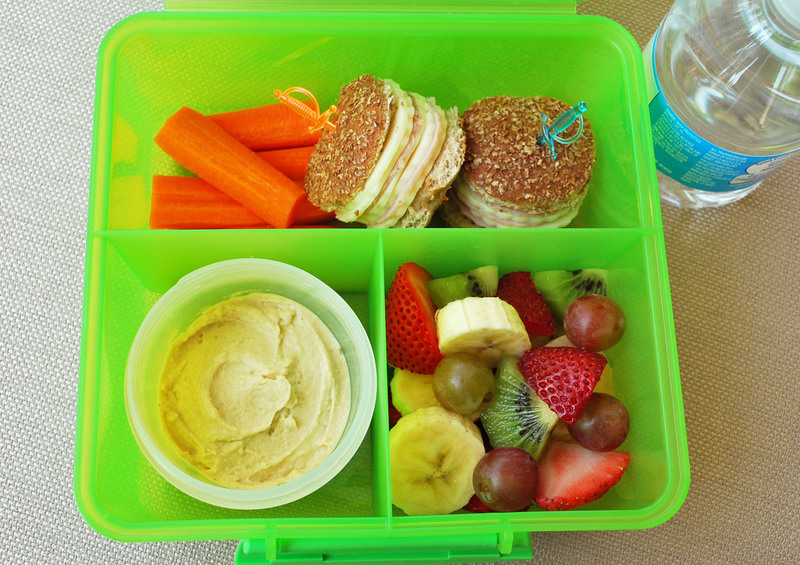 If your kids have a favorite clean-eating lunch, please comment below. I would love to read your ideas and inspiration! Mini ham and cheese sandwiches made from whole grain bagel thins, sliced carrots, hummus and fruit salad. Peanut butter (use any nut butter), banana and honey sandwich on a whole grain bagel thin, cheese stick, a clementine, sliced carrots and cherry tomatoes. Turkey, spinach and cheese roll-up sandwich made with a whole grain tortilla, Back to Nature crispy cheddar crackers, sliced carrots and cherry tomatoes and a natural fruit leather. Ham and cheese roll-up sandwich with whole grain blue corn chips, organic salsa, a clementine and grapes. 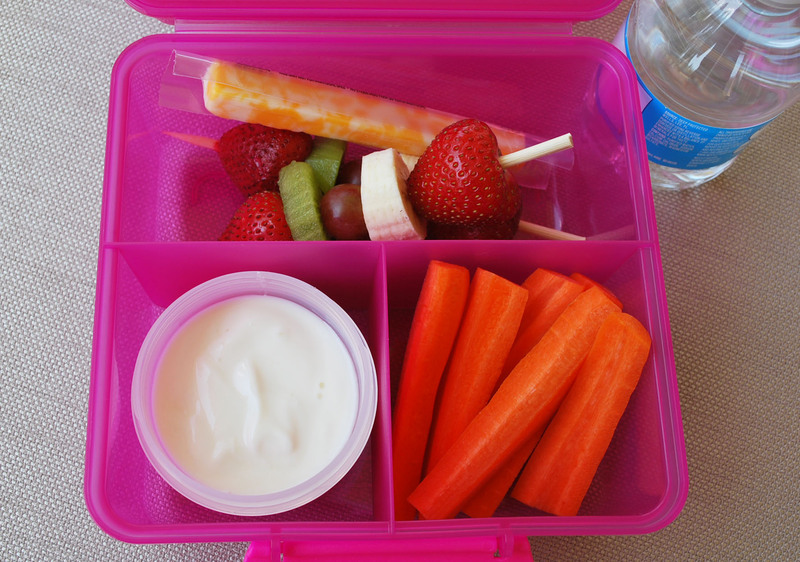 Vanilla or plain Greek yogurt, fruit kabobs, cheese stick and sliced carrots. Check out all the other cool back-to-school inspired ideas from my Sunday Supper friends below! YAY! Congratulations on your first #SundaySupper post! I like the different suggestions you’ve compiled here. Very creative! Thank you DB! I’m so happy to be a part of this great group!! Good job! And Lisa’s comment is spot on, too. I hope moms will be inspired to pack wholesome lunches for their kids AND get the kids involved in the project as well. What great lunch ideas! I love how healthy they are and look so goood! These would definitely be a hit with the kiddos! Thanks for sharing! You bet Marion! Thanks for the kind words! These all look so fun, and good for adults too! Love the smaller sandwich ideas as my daughter has braces and finds it so hard with a big sandwich. I am trying these for sure!! Peanut Butter and Banana’s how could I forget that one??! Great idea! I love the fruit sticks on the toothpick too my daughter loves those! Loving these ideas! I don’t have kids at home, but if I did this would be the kind of lunch I would make for them. Great suggestions, and beautiful presentation. Makes healthy eating fun for kids! What cute ideas! They look so appealing, I can even see them actually getting eaten *gasp*! I love this post. I am always trying to encourage my friends to pack healthy lunches and they don’t know what that means. I think pictures are wonderful in showing people what you mean. Great post! So many great ideas – loving it!!! These are all such great lunch ideas. I love how colorful everything is! That is definitely the way to get kids to eat good food — make it pretty! Great clean eating ideas Amee!